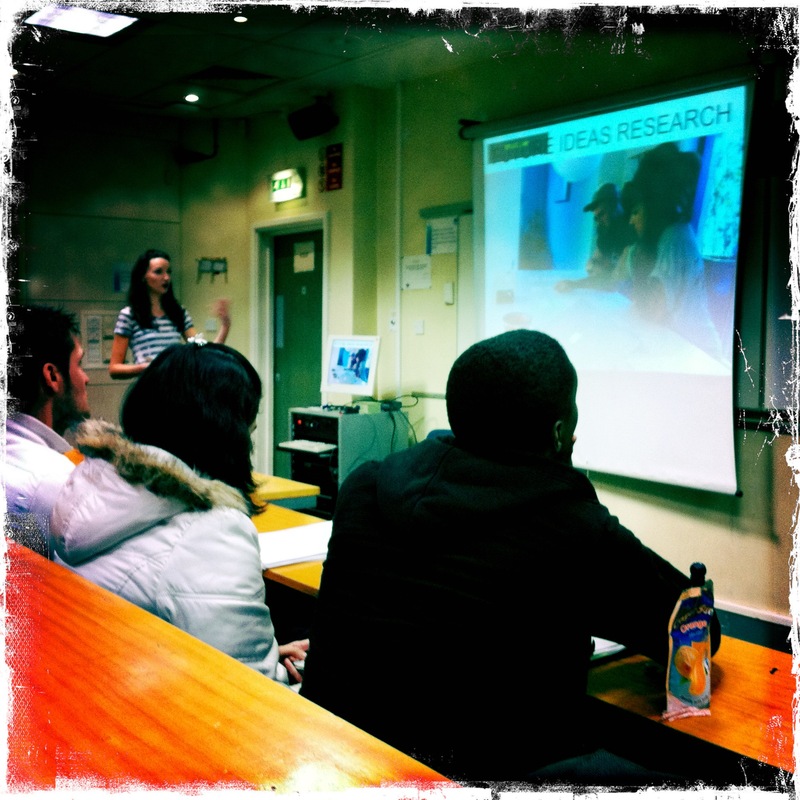 I seem to be doing a lot of presenting to students recently. I’ve been conducting some really interesting focus groups with school kids and teenagers for one of our clients, and today I had the opportunity to give a talk to Postgrad marketing students at Manchester Met University (MMU). I spoke to them about sqoshi.com which is my own project that i’ve been working on for the last couple of years along with two partners. I conducted A LOT of research (both primary and secondary) for sqoshi from pre-concept to the present day and of course it’s something we’ll continue to do as listening to our users is of the utmost importance. It is this research process that I presented to the students and hope they found it useful to see how much research you need to do to create a new business. Before sqoshi, we had intended to pursue a different project idea that would have taken a very long time to develop and would have failed. Because we spoke to real people at the concept stage (and importantly listened to the feedback) we realised quickly that the idea didn’t have legs and we canned it asap. Best decision ever! Some businesses do research but make the mistake of letting their pride get in the way so they fail to listen to the user feedback if it disagrees with what they want to hear. This is worse than doing no research! It’s so important to take onboard all feedback with an open mind and decide how to utilise the findings in a productive manner because at the end of the day even if there is a lot of negative feedback you can at least work with that to improve your product. It’s better to accept this sooner when changes are cheaper and easier to make and more of your users will then experience your redesigned, fantastic version rather than the old version that left a worse impression.